Limited Collection Editioned prints & multiples by leading Australian artists LIMITED Contemporary Editions is a Sydney based print studio presenting exceptional quality, archival limited edition reproduction prints from a collection of Australia’s most celebrated artists including John Olsen, Stephen Ormandy, Matthew Johnson, Alan Jones and Julian Meagher. We are also continuously working with new artists to present a dynamic selection of contemporary artworks. LIMITED Contemporary Editions works directly with artists to accurately colour match every fine art rendition, bringing the imagery of our most celebrated artists to the public in multiple form. Each artwork image is reproduced on the finest Hahnemühle archival etching paper using the highest quality, fade-resistant pigmented inks. Each print is hand signed and editioned by the artist to validate and authenticate the print. 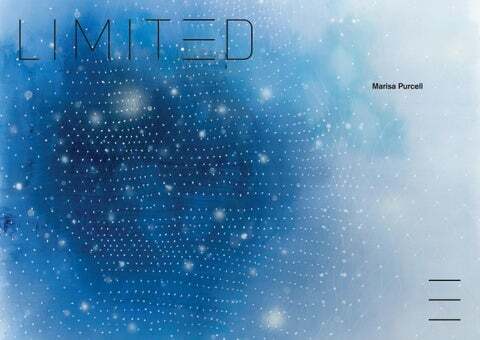 All works featured in this catalogue are copyright the artist, Marisa Purcell. Marisa Purcell The subject of Marisa Purcell’s artwork cannot be found in her paintings but comes about through the experience of them. Their meaning resides in the illusory spaces created between the swathes and splashes of brilliant saturated colour, and the bold and ghostly forms that spill out from her canvases to permeate the viewer. Purcell describes these illusory voids as liminal spaces, and thinks of them as active zones which cross time and space, and in which artist and viewer meet and interact. Long interested in the processes of art’s reception, she draws inspiration from the example of artists across history - from Fra Angelico to Rothko who similarly exploited the mystical power of painting to embody spiritual sensation. Purcell works instinctively and experimentally to the same end, constantly paring her work back to essential motivations. In their final iterations, her ephemeral and aesthetically sophisticated compositions gesture towards an experience of the profound that is available to us all. 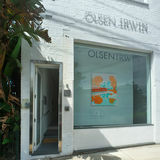 Marisa Purcell is represented by Olsen Gallery in Sydney, Australia and Olsen Gruin in NYC. SHOWROOM Level 1 / 74 Queen Street Woollahra NSW 2025 Australia T: +61 (0)2 9363 0660 Hours: Tuesday to Saturday 11am - 5pm Email: info@contemporarylimitededitions.com www.contemporarylimitededitions.com WHOLESALE AND TRADE ENQUIRIES We offer our prints in a range of sizes to suit both domestic and corporate environments. We welcome inquiries from individuals and trade businesses, designers and architects. Please contact us direct on +61 (0)2 9363 0660 to discuss wholesale and trade accounts. SHIPPING LIMITED ship worldwide, with charges based upon location. Editions are usually dispatched from the showroom within 7 -10 business days. International delivery time-frame is based upon location and an estimate will be provided upon receipt of your order. FRAMING OPTIONS Framing not only presents the artwork in an appropriate and complimentary manner but also helps integrate the artwork into the environment. Framing acts to protect the artwork from short and long term damage so only the highest standards in archival processes are used and only archival materials contact the artwork. Contact us for assistance or advice. PRICES All prices shown are in Australian Dollars, are subject to availability and can be withdrawn or varied without notice. Feel free to contact us on +61 (0)2 9363 0660 for clarification. Left: Marisa Purcell adding the title to the work Conceal at LIMITED, December 2018. Showing Afternoon Breeze to the right awaiting signing, title and edition.